In our garden, the top performing roses include the shrub rose Iceberg (top picture); Summer Sunshine, a yellow hybrid tea (middle picture); Tropicana, an orange-red hybrid tea (bottom picture); Olympiad (medium red hybrid tea), Rio Samba (yellow blend hybrid tea), Jeanne Lajoie (climbing miniature, med. pink) and Mlle Cecile Brunner (light pink polyantha). But, all gardening is local. 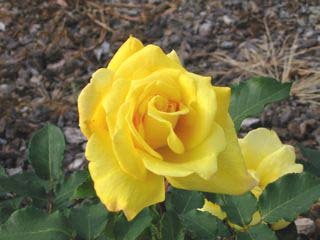 For a more thorough compilation, noted rosarian Baldo Villegas has studied thousands of roses throughout California, and has put together this list. 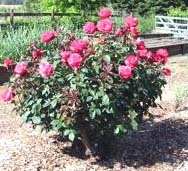 Although by no means a complete list, here are over 100 roses that do well in the local inland valleys, especially the southern Sacramento and northern San Joaquin valleys. Many of these roses will thrive in foothill regions and parts of the Bay Area as well. For a more complete guide, contact the Sacramento Rose Society or the American Rose Society. Thanks to rosarian Baldo Villegas for compiling this list. 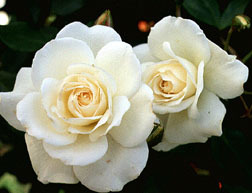 Visit his website for more about roses, including pests and diseases of the rose garden.